Amazon has a Prime Day deal on the GreenLife 7″ and 10″ ceramic coated pan set! 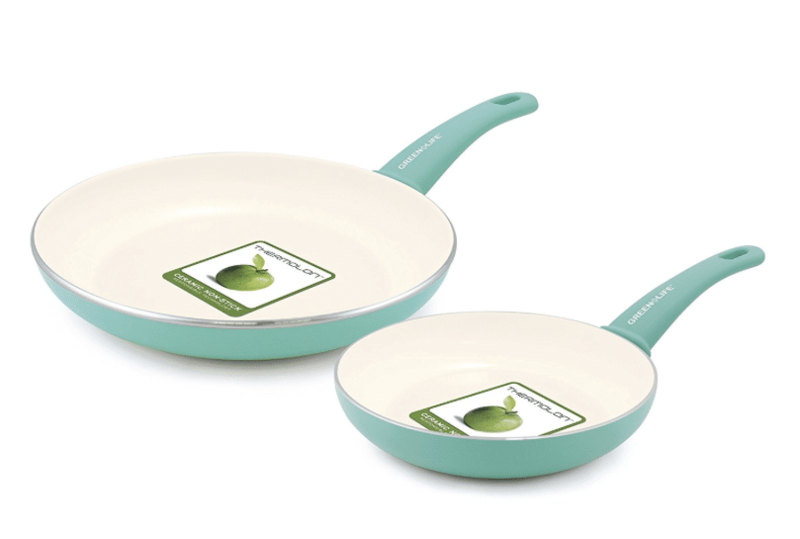 If you haven’t swapped out toxic teflon pans or want to add a safe, non-stick pan to your cookware collection, Amazon is offering up an extra 25% for Prime members off this set, bringing the price down to $16.87! This set of pans normally sells for $30, so this is a hot price! These pans are PFAS, PFOA, lead and cadmium free. I own similar ceramic coated pans and they work awesome (because stainless steel and eggs just don’t work! ).